Lessons - do not use How can I best use digital marketing? Surely, no one is going to buy your solution via facebook or after searching for you on Linkedin, so how important is digital marketing within the marketing mix? 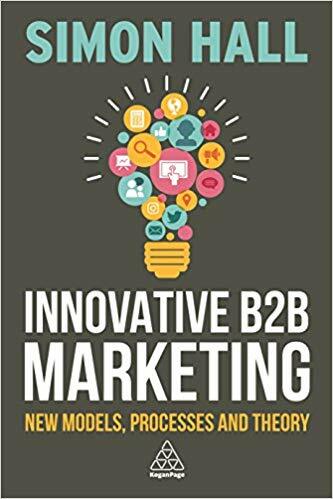 In this lesson; Simon Hall, author of Innovative B2B Marketing, discusses why it’s absolutely essential for any B2B marketer to embrace digital. Grant Leboff: One of the areas which are still new for many businesses, although its has been around a while now, is this whole area of digital and how best to use that. How important do you think is digital marketing within the marketing mix for a Business to Business company today? Simon Hall: It’s essential. It’s not just a little important. It’s absolutely essential that any B2B marketeer embrace digital. The main reason being that a lot of customers are on digital, they moved to actually even a branching out on digital, to using social media. So from that point of view, if you want to engage customers, then it’s really key to actually use digital within your mix. Grant Leboff: When I talk about this with businesses, you didn’t get chief executives saying, well, no one’s going to buy my software solution via facebook or no one’s looking on Linkedin to buy an ERP enterprise suite or whatever, and of course there is truth to that. So in what ways do you think digital social is important within that buying journey? 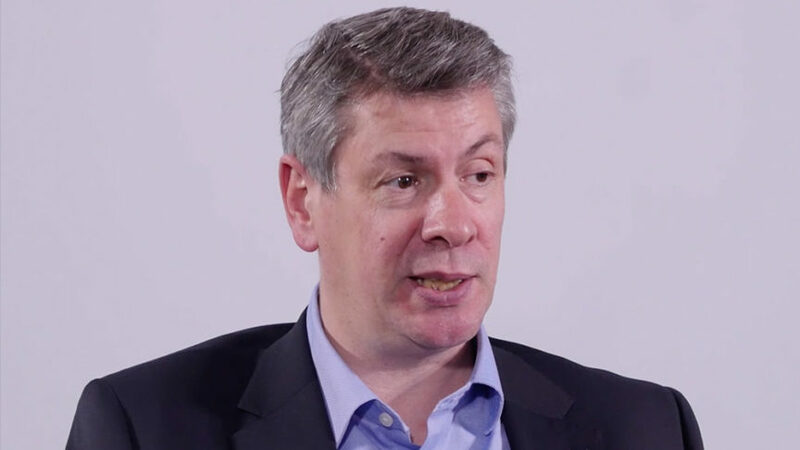 Simon Hall: I’d agree, nobody will look at a single digital channel and from that buy. But they’re going to look at a multiple of touchpoints which may include social, which may include aspects of LinkedIn and other digital content before they then buy, eventually. So it’s absolutely critical that we need to think of the buyer journey… that in the early phases of awareness and understanding what they want, they may use a lot of digital and engage a lot of digital content before they then move to other areas of the journey where they all use different types of content. That may even be offline content. Grant Leboff: And how does a business then, decide which digital channels they should start to utilise? One of the challenges, isn’t near, apart from their website, they’ve then got this multitude of social channels and other opportunities and it’s almost, well… where do I concentrates some time and effort? Simon Hall: Within B2B, it’s a bit more complicated than would be in consumer, because you have a mix of digital and non digital channels. It’s important to first map what’s the typical journey for that type of customer or that buyer profile, and then for each of the stages; what type of channels is the buyer using and what type of media are they using? So typically you’d map between three and five types of media buyer phase and you’d find about four or five stages of the buyer journey. Grant Leboff: And then when you’re looking at with these channels, of course, one of the ways that people start to think about these channels is paid, owned and earned channels. Can you just explain how that falls out within the digital environment, just so people start to thinking in those terms? Simon Hall: Paid is obviously paid digital media. You pay for digital advertising, whether it’s paying for it own on social or whether it’s paying for promoted on a website. Owned is actually your own property, could be your own social website, your own website, your own blogging, all of your own digital property. And then earned is basically what customers are doing for you or what, what anybody’s doing for you and sharing, liking, commenting, what used to be word of mouth on the street. If it was non digital it can be anything that’s done to actually promote your product in a digital environment which you haven’t paid for. Grant Leboff: And in the business to business world, is there matrix that you’d say or rule of thumb that works for these different channels? Should businesses be saying, 80 percent of our digital should be paid, because we still need to make sure we are getting seen and there’s so much noise. Or should it be no, we know we need to engage people and we need advocacy… how does a business start to carve up that whole area? Simon Hall: It depends on the customer they’re looking at. It depends on the product and solution. It depends on which part of the buyer journey they want to look at. From that I would say there are pros and cons for paid and owned. Owned, obviously, you are only, typically, reaching your own existing customers. Paid, obviously you reach prospects that aren’t your customers and earned can give you some credibility so they each have their own part to play within the mix. I think it’s balancing that mix the right way, based on your budget limitations.